Ebates has a giveaway now to Jump Start Your Summer! 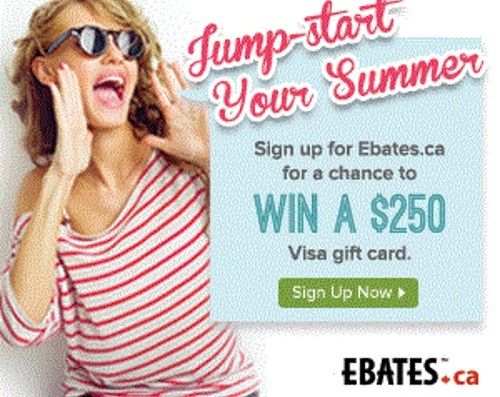 Sign up for Ebates for a chance to win a $250 Visa gift card! Earning Cash Back at Ebates is as Easy as 1-2-3! Sign up for free, shop at your favorite stores and earn Cash Back on every purchase. You already shop online. Get paid for it! Ebates provides Cash Back to over two million dedicated members. Since 1999, members have earned over $100 million in Cash Back savings from 1,800+ stores.